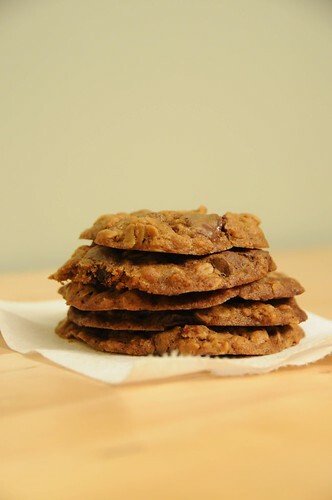 Okay, I know, I just posted a recipe for oatmeal chocolate chip cookies last month. But I’m making up for lost time here. And these are different! Not only do they have a secret ingredient (that would be the coffee, which almost no one will notice until you tell them it’s there), but they have an entirely different texture than those other cookies. They’re thin and chewy, more like a florentine or lace cookie than a cousin of the ordinary chocolate-chip variety. The brilliance of these cookies is subtle: the coffee helps cut the chocolate flavor, while providing depth that makes them taste rich. One word of warning: these cookies are delicate flowers. If you want to travel with them, they’re going to need first-class passage in a hard-sided container. Of course, you could avoid that problem by eating them all yourself. 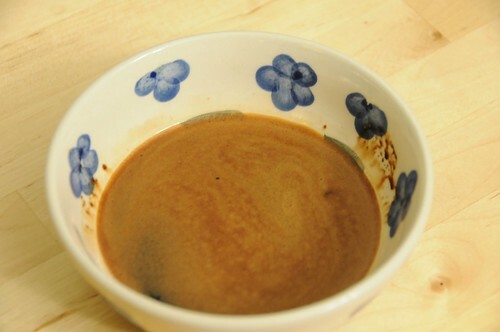 In a small bowl, dissolve the espresso powder in the water and set aside. 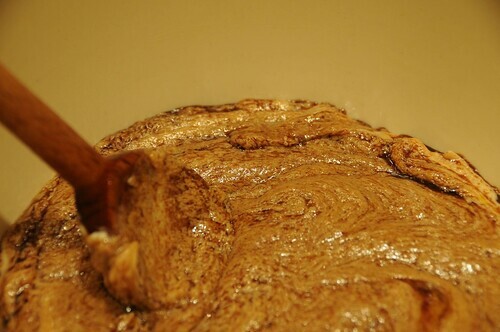 In a big bowl, cream together butter and sugars until light and fluffy. (Soften the butter first if you’re taking it from the fridge; try the defrost setting on your microwave to achieve this without melting it.) This is easiest with a hand or stand mixer, but can totally be accomplished with a big spoon and some bicep action. Mix in the egg and vanilla extract, followed by the espresso. 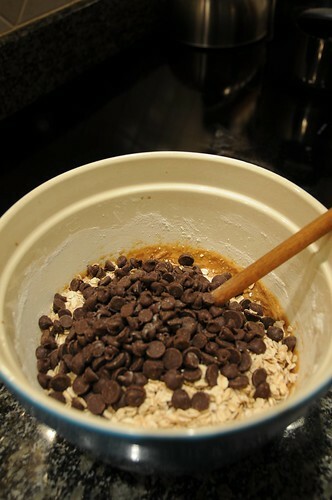 Stir in the flour, baking soda, and salt, then add the oats and chocolate chips and mix until combined. Bake for 12-14 minutes, until cookies are golden-brown on the edges and set all the way through. Remove from the oven and let them cool for a couple of minutes before moving the cookies to cooling racks.